Wagtail UK Ltd are proud to be an Approved Learning Provider of the MOD’s Enhanced Learning Credits (ELC) Scheme helping to promote life-long learning for members of the Armed Forces (ELC Provider No: 6931). Enhanced Learning Credits are designed to provide service personnel (both serving and former) who have accumulated at least 4 eligible years of service from 1st April 2000, with 80% of approved training costs, for courses leading to a recognised qualification on the National Qualifications Framework at level 3 or above. Achieving Approved Learning Provider status with the ELC is something we’re extremely proud of and strengthens our commitment to supporting the Armed Forces community. 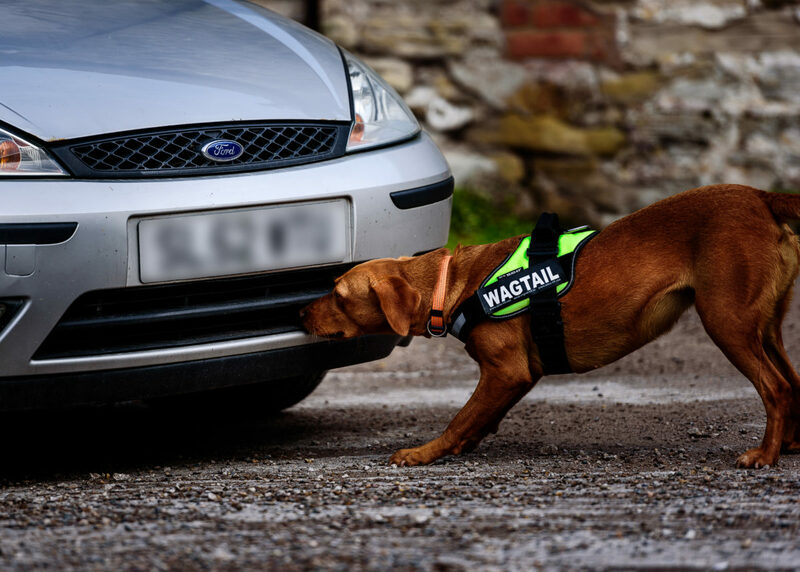 If you’re interested in training as a detection dog handler and see this as a future career path, then why not use your ELC credits for a course with Wagtail, the leading international specialist in detection dog and dog handler training. Search for ‘Wagtail’ in the ‘Provider Name’ box, and the courses will be shown in the approved list. about eligibility and how to make your claim. Courses take place at Wagtail UK’s Training School in North Wales. Self-catering accommodation is available at nearby Wagtail House in Prestatyn. Our Frequently Asked Questions page should help answer some of your questions, but please contact us if there’s anything else you need to know. Please click here to read a case study written by one of our past students who completed a Wagtail course using their ELCAS credits. If you are uncertain about undertaking a full-time course we also offer Detection Dog Taster Days. Taster Days will give you an insight into professional search dog handling before committing to a full-time handler course. Taster Days cost £130. For more information visit our Taster Day page. Although there is no guarantee of work after the course, we view each learner as a potential future employee. This attitude ensures all our learners have the theoretical knowledge and skills competence to enter the job market with legitimate credentials to impress any potential employer. All Wagtail courses include additional Guided Learning Hours above the mandated requirements and have additional lessons that broaden knowledge, consolidate understanding and impart trade complexities that students will find invaluable.